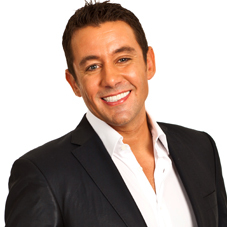 Master trader, entrepreneur, philanthropist and international speaker are just a few of the terms used to describe Greg Secker. After a phenomenally successful career working in the city, Greg’s desire to put the wealth creation skills that he perfected into the hands of everyday people led him to set up Learn to Trade. He now travels the globe teach people skills for a richer life and how to create and immediate income using simple Forex Trading strategies. Over the past 12 years, more than 200,000 people have attended Learn to Trade’s various trading seminars and workshops, where they learn how to produce a second or replacement income trading the currency markets. Greg Secker will show you the secrets behind proven and ready to implement wealth creation strategies, and how to implement them immediately to make serious money on autopilot from trading the 5 Trillion Dollar Forex Markets. He has blazed a path for the everyday-man in the street to walk towards financial freedom. Greg will show you how 30 minutes a day trading at home can help build a sustainable secondary income fast.